ad beauty hair nighttime hairdo party ready sponsor sponsored sponsors. 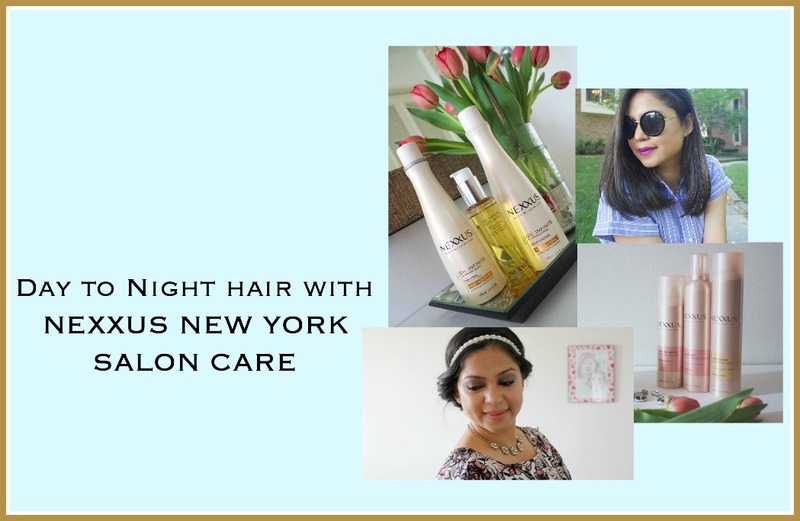 "This post is sponsored by Nexxus New York Salon Care, a product of Unilever, as a part of an Influencer Activation for Influence Central"
You could learn more about Nexxus New York Salon Care on their Facebook, Instagram and Twitter. As women of the world, we take pride in our health and well being, valuing the practices set in place to keep us looking and feeling our best. So why not do the same for our hair? With the right hair care regimen, we achieve the nourished, vibrant, and lustrous hair we desire. Nexxus New York Salon Care hair products contain premium, salon-quality ingredients that leave hair looking fluid, enriched, and beautiful. 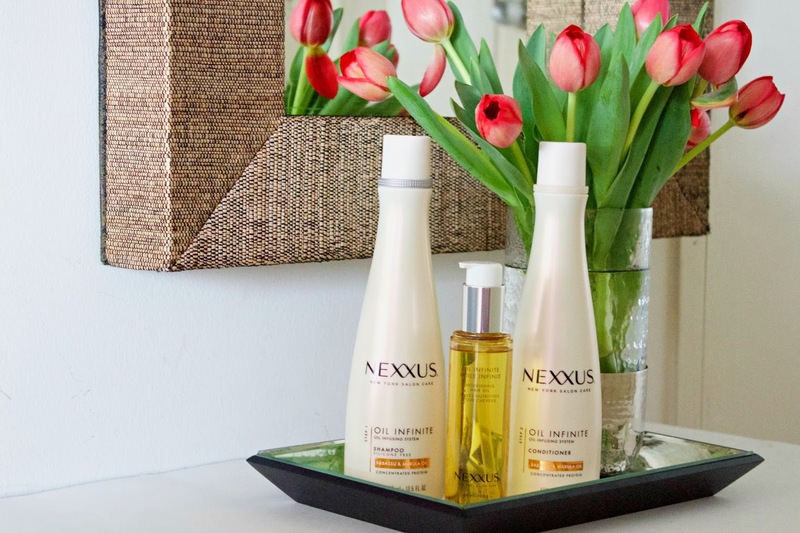 This summer, swap out your old hair care products in favor of Nexxus New York Salon Care, for that “just left the salon” extra bounce in your hair. Experience gorgeous, soft and radiant hair, right from the comfort of your own home. Summer can be agonizing when it comes to taking care of your mane. With the impending humidity and hair frizz, maintaining a smooth sleek tress can be a pain. With the Nexxus Salon Care Oil Infinite system, this will happen in a whim. I have been using this Elastin protein and natural Babassu and Marula Oil infused hair-care line for a couple of weeks and it’s now safe to say that “my hair is ready for the summer weather ”. 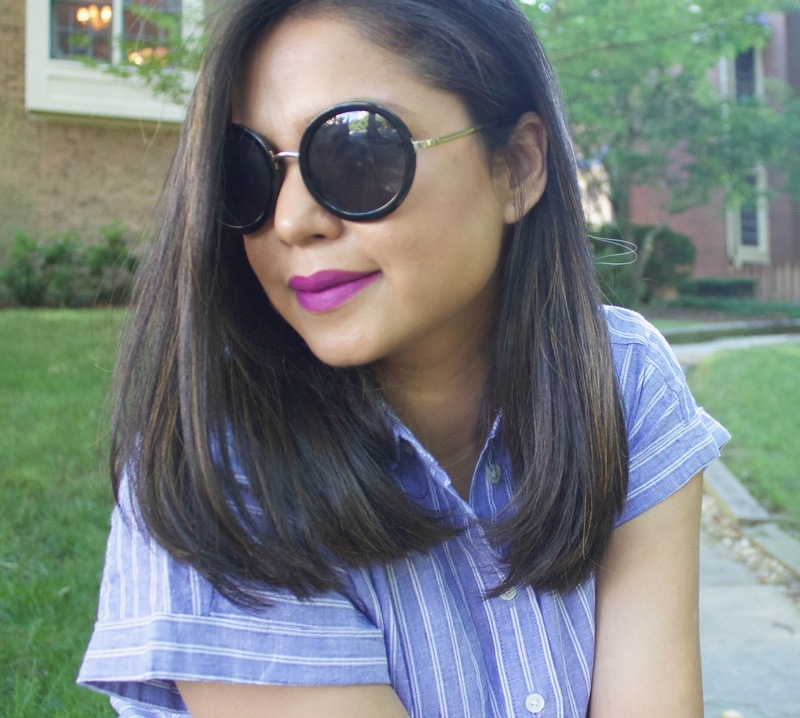 My hair feels softer, fresher, sleeker and much more manageable. 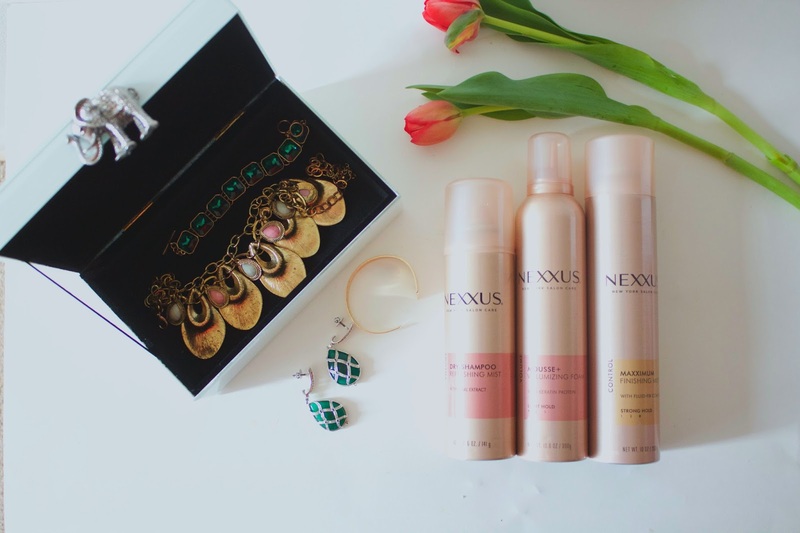 Today’s post encompasses a hair routine with Nexxus Salon Care. From morning to night, from desk to dinner and through everything in between, I felt I had a good hair day. 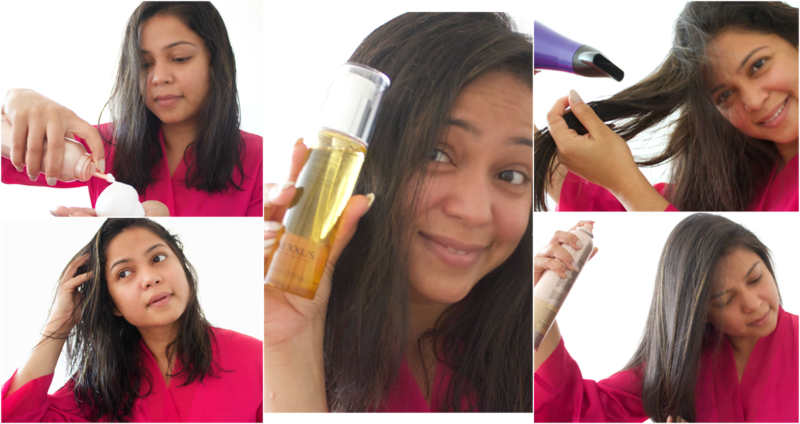 Not a village, but just a few products came along…..
During the day, I usually wear my hair straight and this Oil Infinite is definitely my new hair BFF. I started off with the shampoo and conditioner. A good hair mousse is the key to getting a healthy and voluminous looking hair. Take a dollop between your palms and run it through your hair, focusing on the crown. Put a little bit of the Nexxus Nourishing hair oil at the ends to facilitate a healthy look. Finish and lock with the hair spray. For the night look, I opted for a rather simple but dramatic hairdo. 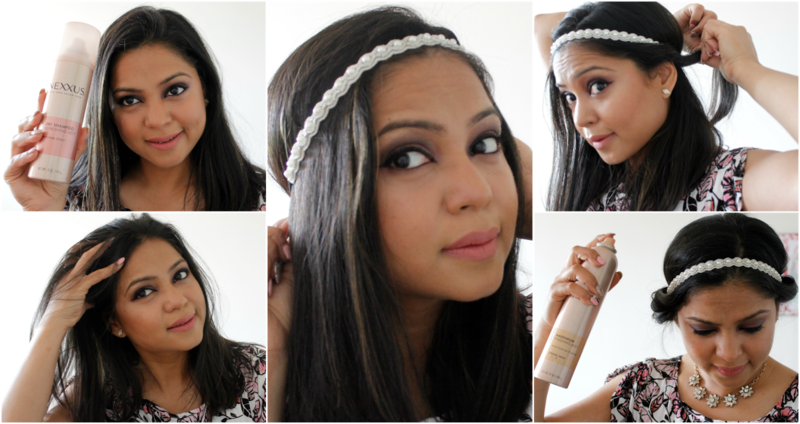 My hair tends to get oily really easily and so the Nexxus Dry Shampoo refreshing mist came to the rescue. Holding the bottle at least 6 inches away spray all through your hair. 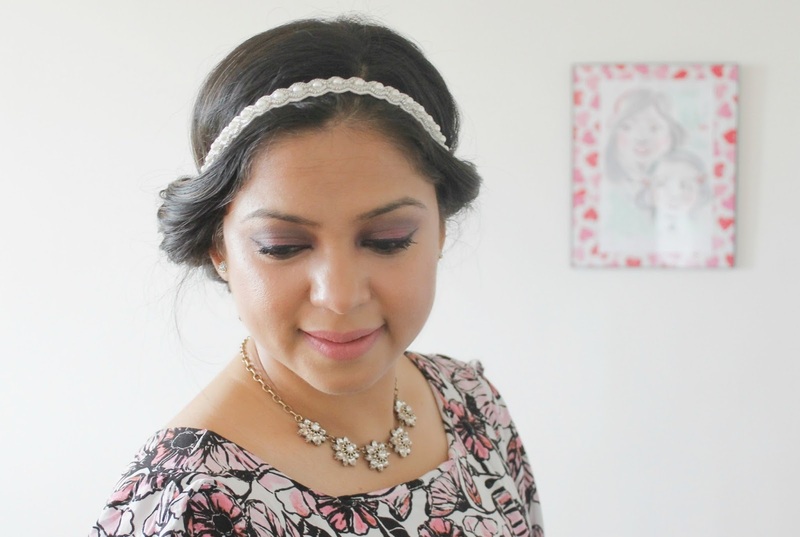 Now take your favorite headband and wear it front to the nape of your neck. Smooth out your hair now, as it may get difficult later. Section your back hair into left and right. Now taking a section of your hair, roughly about an inch thick, slide through the elastic of the headband. Pull through completely so that your hair loops around the back elastic of the band. Continue doing until all the hair is looped around the headband. When all done, your hair at the back should look like a low ponytail. Make a bun of this and secure with pins. Finish with Nexxus New York hairspray. You are ready for any evening occasion. How do you like the two looks?? ?